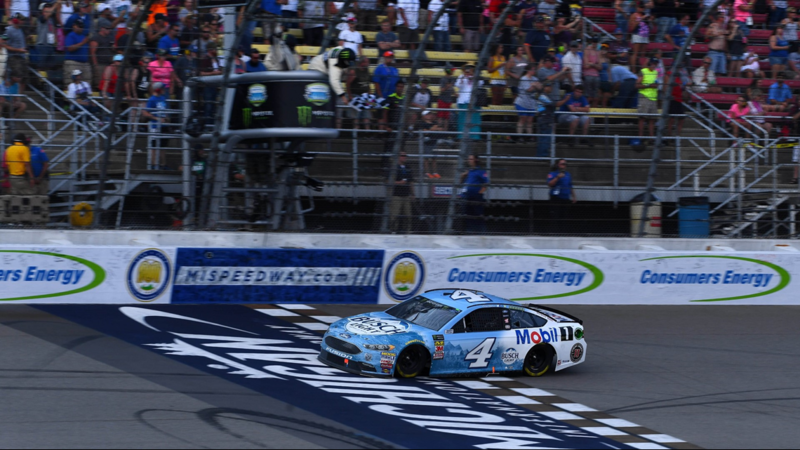 BROOKLYN, Mi- Kevin Harvick dominated Sunday at Michigan International Speedway, sweeping all three stages in the Consumers Energy 400 for his season-high seventh victory of the season. 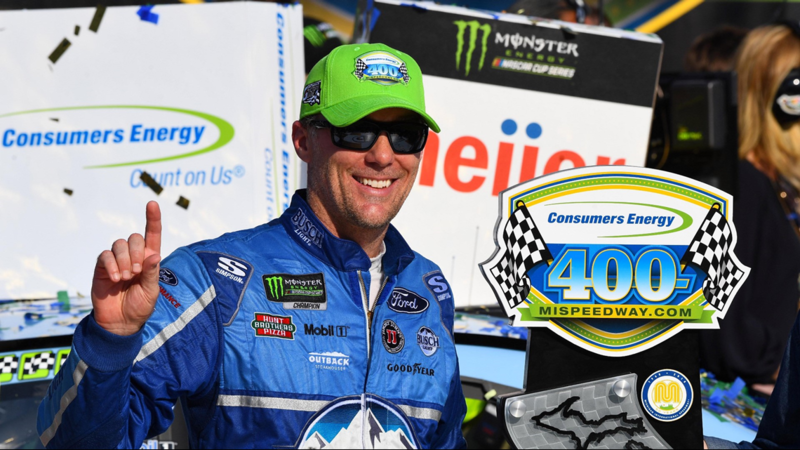 Harvick led 108 of 200 laps and beat runner-up Brad Keselowski by 3.23 seconds. Austin Dillon had been running second to Harvick but reported that he had a flat tire with two laps remaining. Dillon was able to coast home in fourth behind third-place finisher Kyle Busch. For Harvick, it was his second career victory at the 2-mile oval in the Irish Hills of Michigan and the 44th of his Cup Series career, tying Bill Elliott for 17th on the all-time list. "What a car," Harvick said in victory lane. 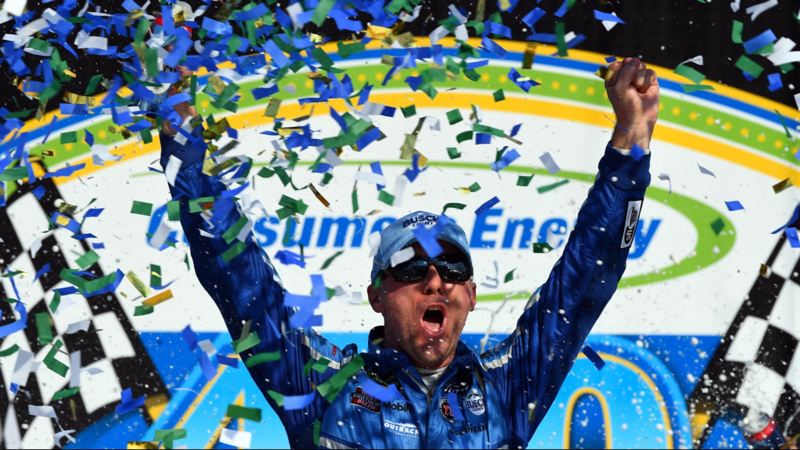 "The most important thing is winning races right now and positioning yourself for Homestead. And that's all we want to do. We don't want to learn anything, we don't want to work on anything, we want to win." Harvick's son, Keelan, came out onto the track to grab the checkered flag and wave it to the fans in the grandstand before Harvick drove both his son and the flag back to victory lane. "He told me before the race, 'Dad, if you win, I want to go out and wave the checkered flag.' And I said, 'Well, if you do that, you've got to take the victory lap with me.' "It's pretty awesome to a part of NASCAR and bring your kids to work and experience these kind of things with them. 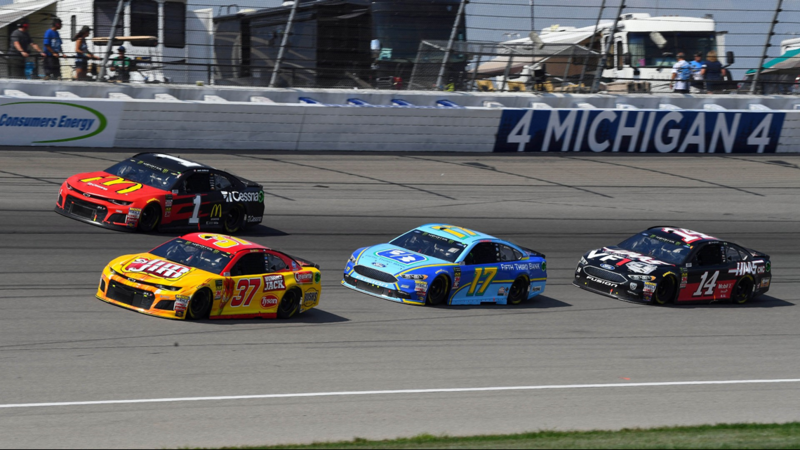 Ryan Blaney finished fifth, followed by Kurt Busch, Aric Almirola, Denny Hamlin, Chase Elliott and Joey Logano. Only three races remain before the 10-race playoff commences on Sept. 16 at Las Vegas Motor Speedway. 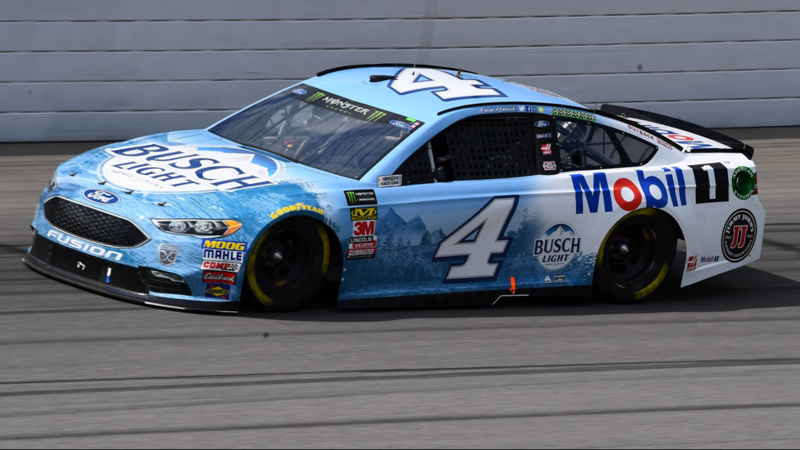 STAGE 2: Harvick swept the first two stages bring his total to 12 this season. 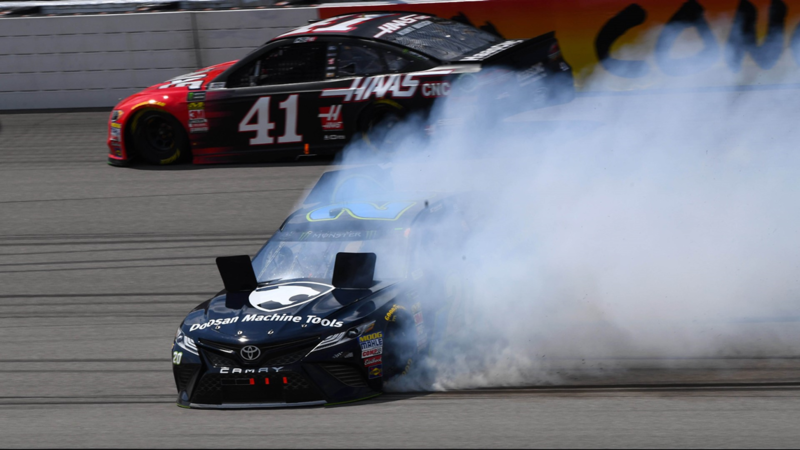 Kyle Busch finished second as he did in the opening stage. Blaney was third, followed by Kurt Busch and Dillon. 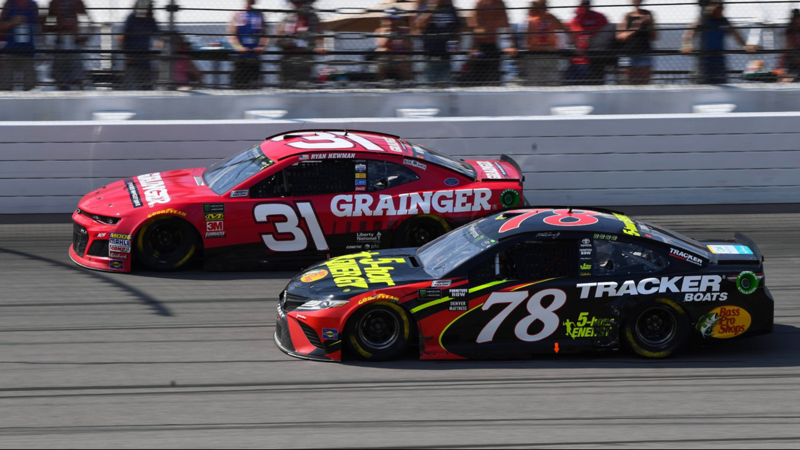 Martin Truex Jr. was running with the leaders before running out of gas and going into the pits, which were closed. 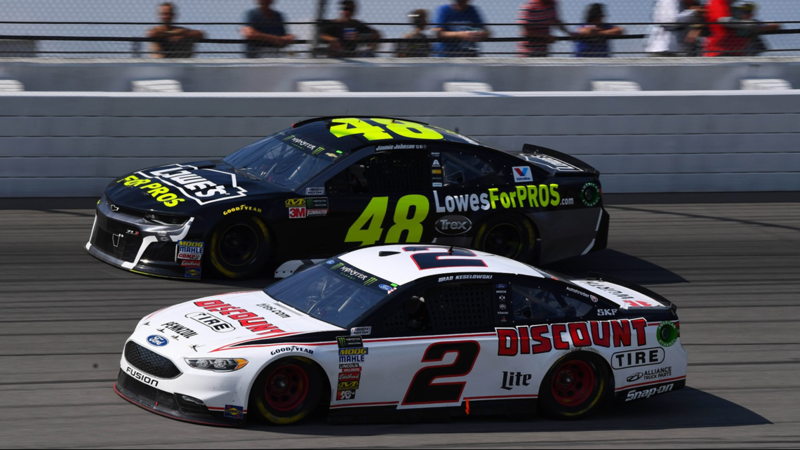 He was penalized for an uncontrollable tire and pushed to the back of the 40-car field. Harvick took the lead from Truex on Lap 109. Logano finished sixth, followed by Clint Bowyer, Almorila, Keselowski and Kyle Larson. 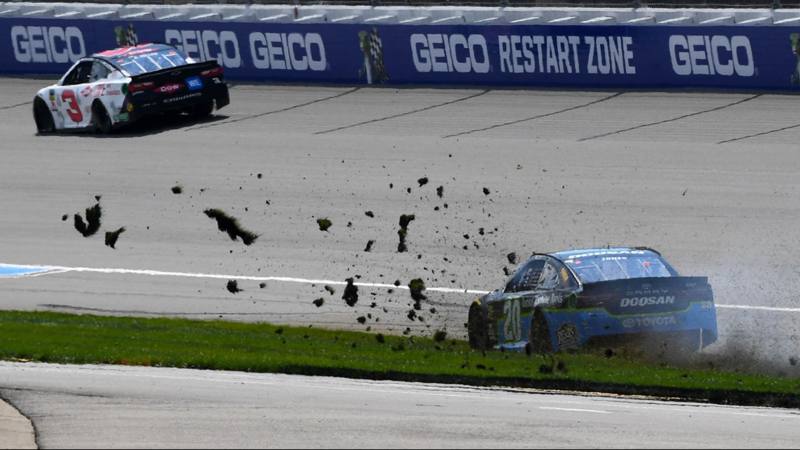 TAKING A SPIN: Erik Jones spun out after making contact with Ryan Blaney on Lap 83. Jones also spun during the opening stage but was able to keep his No. 20 out of the wall both times. 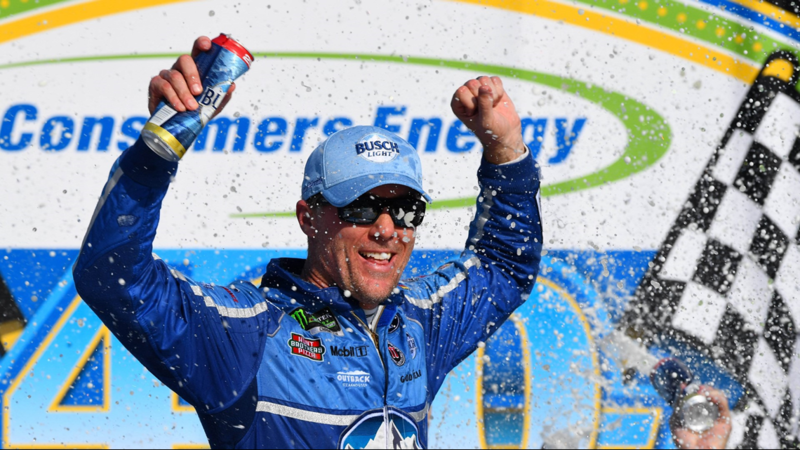 STAGE 1: Harvick won the opening stage for his 11th stage win this season. Points leader Kyle Busch was second in the 60-lap stage. Blaney was third followed by Kurt Busch. 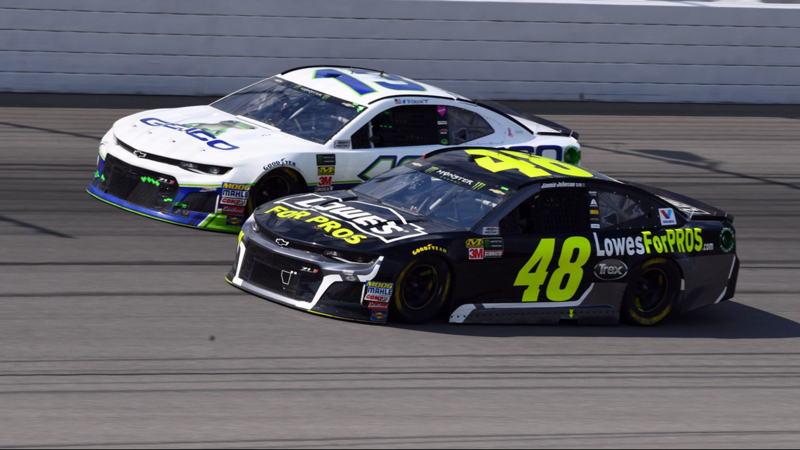 Truex, the third member of the "Big 3" behind Busch and Harvick, recovered from an early collision with William Byron to climb back to fifth place. 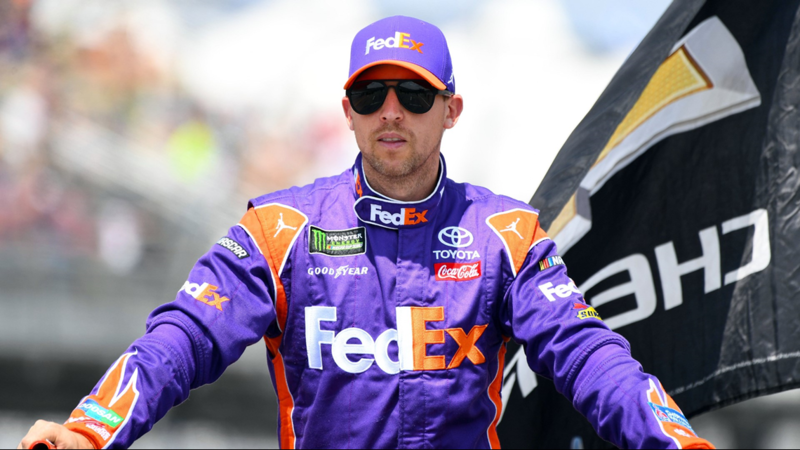 Hamlin, who started on the pole, was sixth, followed by Almirola, Ryan Newman, Keselowski and Alex Bowman.